Meet your new cuddle buddy—Ozzie! This adorable pup can’t wait to find a loving family. He can join a home with kids as young as three. Adopt Ozzie today! Big fan of: Cuddling! This sweet dog is happiest when he’s surrounded by his favorite people. Ozzie gets along with everyone he meets and will quickly win you over with his loving personality. 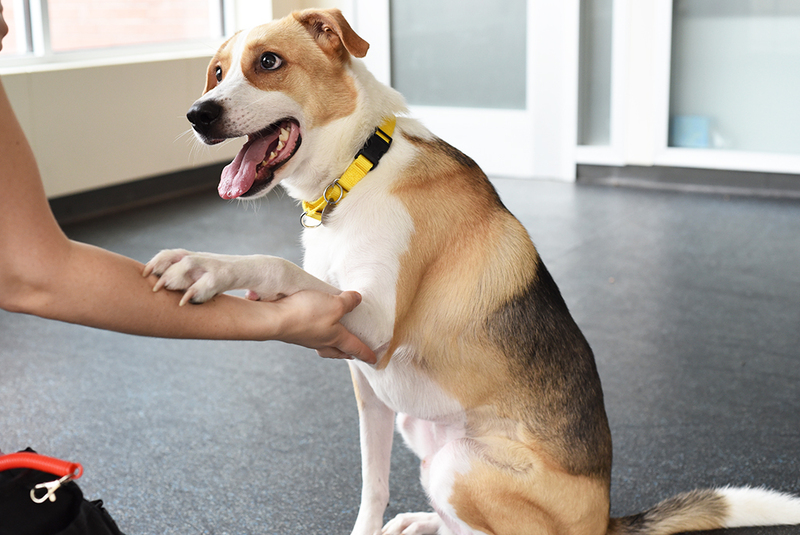 This friendly pup has a medium energy level and is comfortable lounging around, or up for some playtime. Special features: Ozzie gets along with most other dogs. He should meet new dog friends in a one-on-one setting to see if they would make great playmates. This smart dog already knows “sit,” and is eager to learn more basic manners. In his previous home, Ozzie may have been housetrained. Dream home: Ozzie can join a home with kids 3-and-older. An adopter with some previous dog experience would be a great match for this pup.